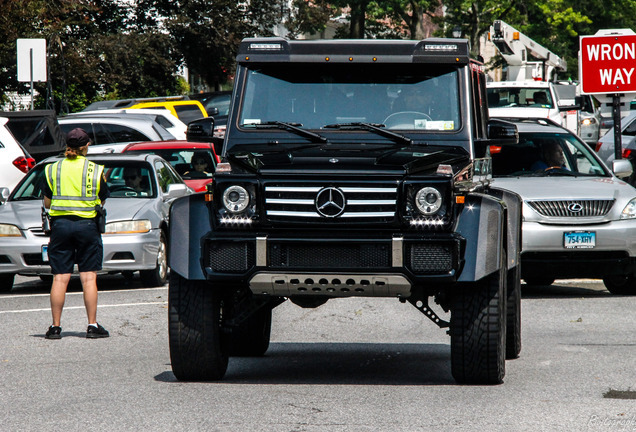 Europe already had the G 500 4X4², almost as extreme as the G 63 6x6 but minus two wheels and an AMG engine. 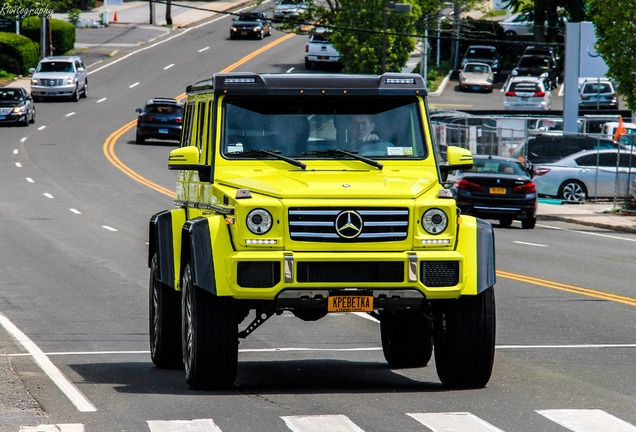 And we were waiting for Mercedes to bring this car to the North American market, the market where the Hummer and large SUV's are common on the street. 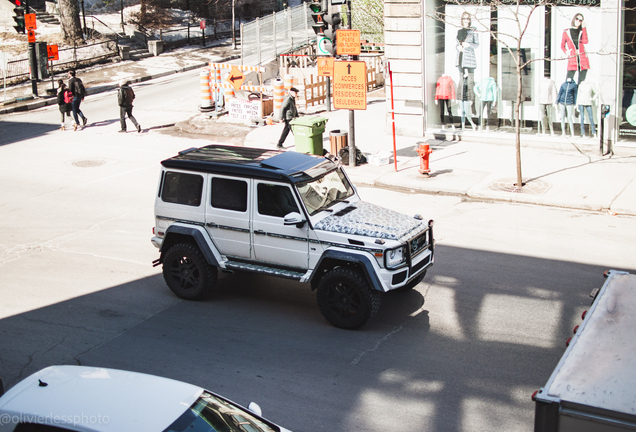 So here it finally is, the American version: the G 550 4X4²! There is really not much difference between the European version and the North American version. To satisfy the regulatory difference we can see the orange/red lights on the sides, but other than that it is hard to detect any differences. 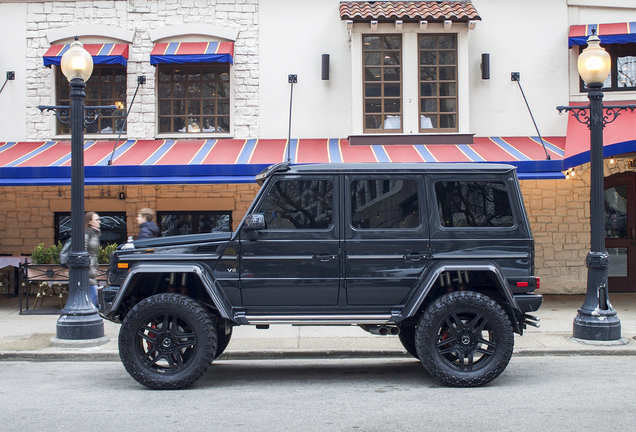 It has the same 4.0-liter twin-turbo V-8 with 416 horsepower and 450 pound-feet of torque under the hood and the same seven-speed automatic and triple locking differentials. 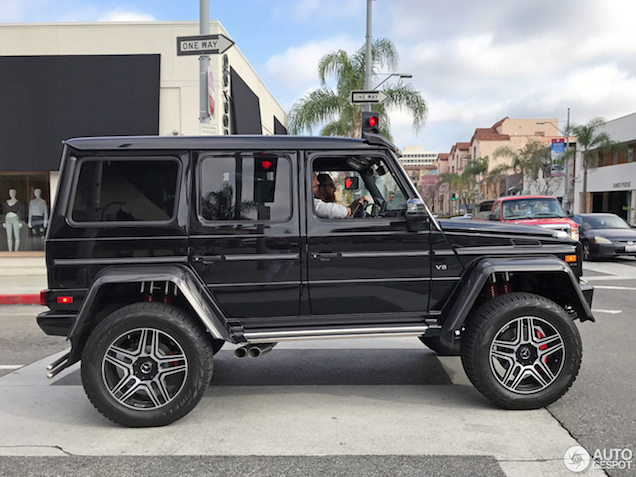 The chassis is heavily modified, for those who want to go extreme with the G. But honestly, we will probably see these cars more often in Beverly Hills, where this car was spotted, than in the Rocky Mountains.